When it comes to buying graduation gifts you do not have to break the bank to find thoughtful, practical gifts. 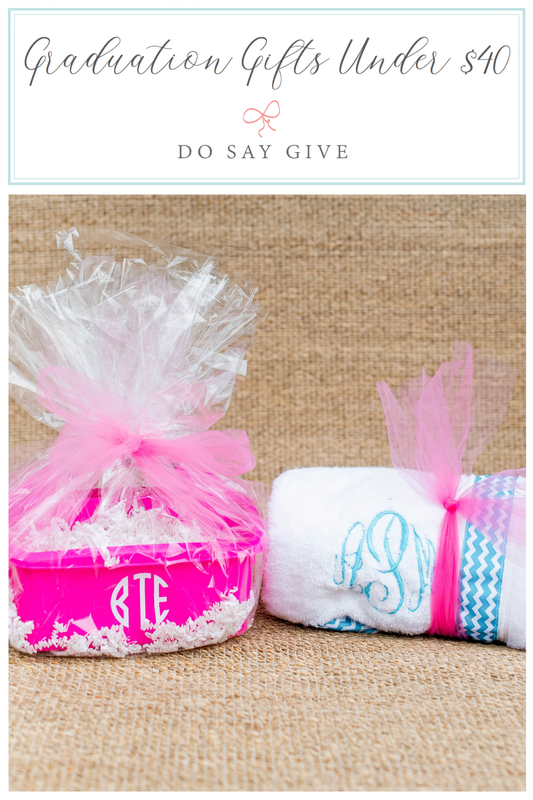 Today I am sharing six of my favorite personalized gift ideas for girls under $40. These are great ideas when you have to buy gifts for multiple grads! A good towel wrap is a dorm room essential that makes traveling from your dorm room to the shower easy. This a great gift to give to other friends who are graduating! I also love the idea of attaching this tooth brush holder ($8!) to the gift to make sure your toothbrush stays clean and germ-free! 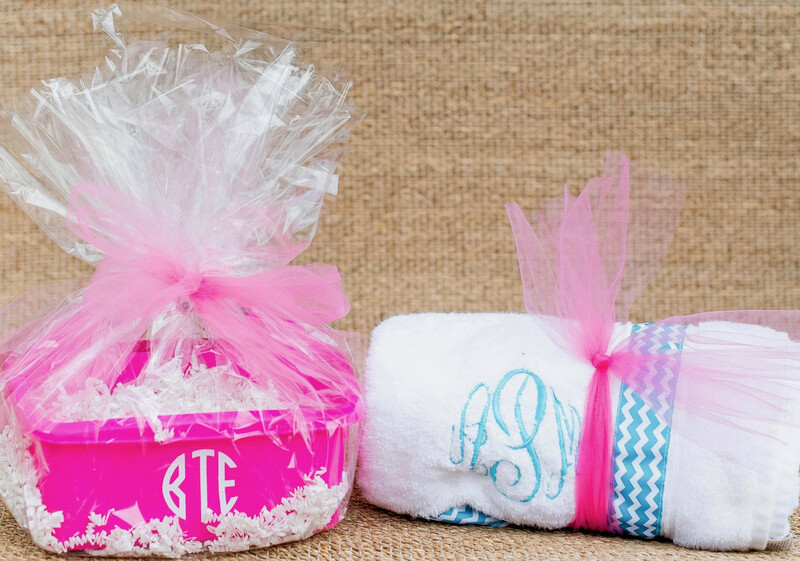 These shower caddies are one of the easiest and most inexpensive gifts. There are tons of personalized shower caddies on Etsy that can be ordered, but we put this one together for under $20! You can find different caddy sizes and shapes on amazon and order a vinyl monogram to apply to it. We used this utility caddy from Amazon and personalized this vinyl monogram decal for $5. They are so easy to apply and are a major money saver! You could also fill with goodies if you wanted to spend a little more. 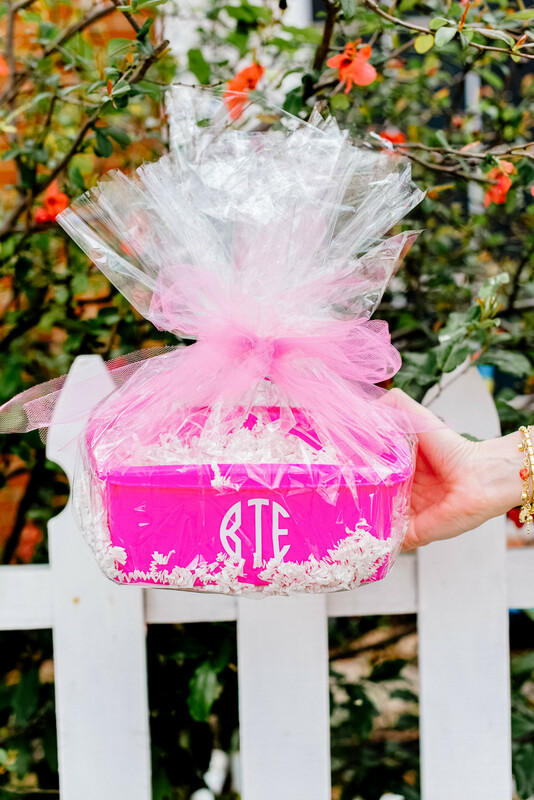 I’ve shared Audrey Durden a few times on Instagram and the blog because I love her high quality monogrammed gifts. 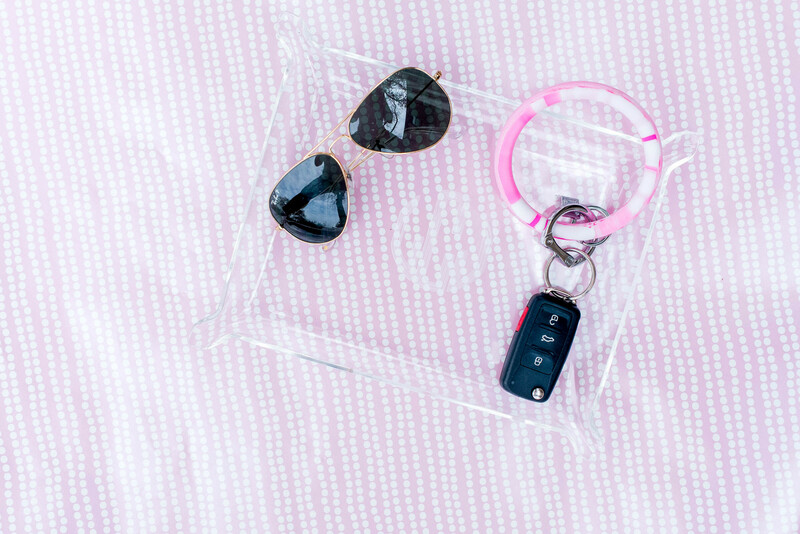 These lucite trays are great graduation gifts that function as a catchall in dorm rooms and apartments. 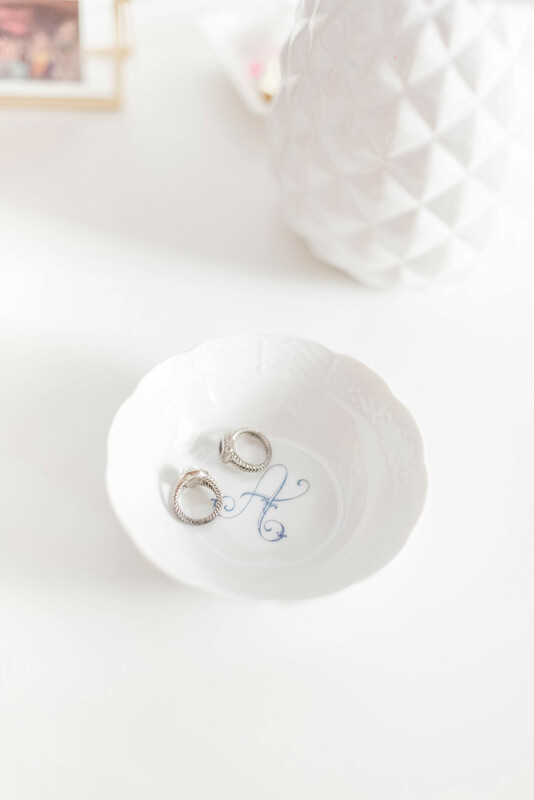 I love the sleek and simple look of these with the etched monogram. They come in small, medium and large and are all under $20. Right now, she has a graduation special for 10 trays for $100, making it so easy to order them for a group of grads! 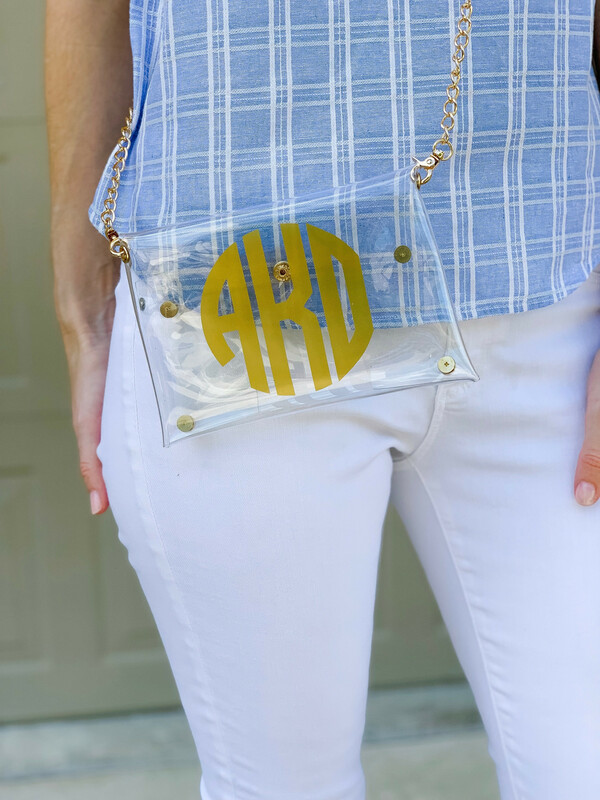 Over the last few years, these clear purses have become so popular as the NCAA has changed their stadium and arena rules. For a purse to be allowed in the game, it cannot exceed 12″ x 6″ x 12″. Two Funny Girls introduced this purse that fits the strict requirements in a fashionable way. These purses measure 5″ x 7″, available in four monogram fonts and many colors and are such a great price point. I also love this one personalized for colleges! 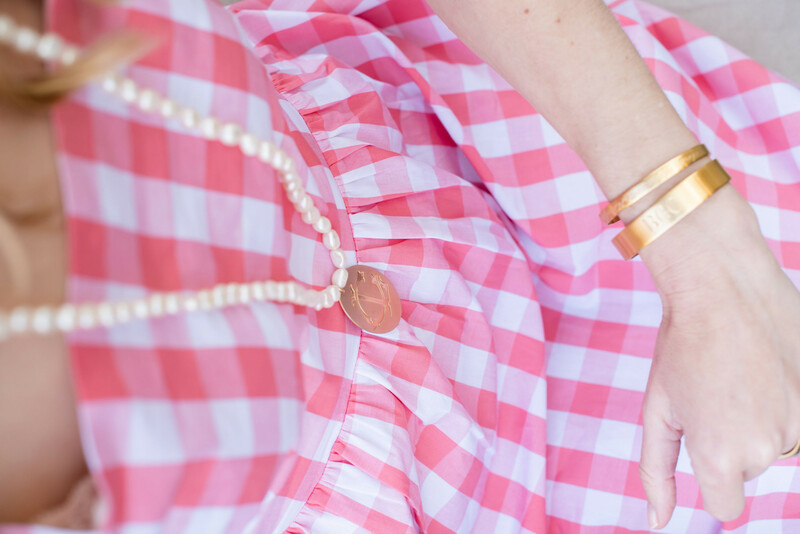 Can you believe these adorable cuff bracelets start at only $21?! They come in three different sizes and can be engraved with a monogram or name on the top and a personal inscription on the inside. I love how thoughtful and personal these are! Plus, now through June 15, Audrey Durden is running a graduation special that offers free inscription engraving on the inside. Sasha Nicholas makes the most beautiful monogram pieces (we frequently feature this Champagne Bucket on our guides!) For grads, their petite weave bowls make wonderful gifts that are under $40. 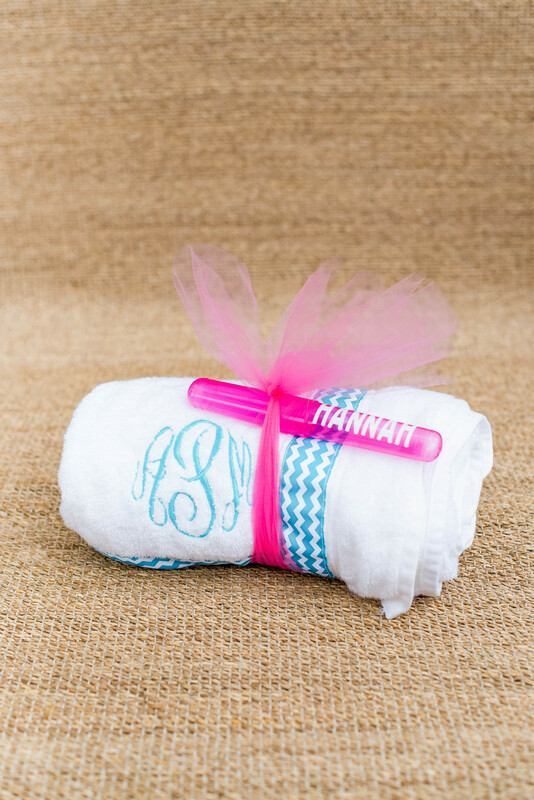 These can be personalized in 8 different elegant monograms and five colors. They can be used so many different ways, but I use mine to put the jewelry I wear everyday in at the end of the day. Also, they recently launched a greek collection which would be a wonderful bid day or initiation gift if she plans to join a sorority! While these are gifts for girls, we have plenty of graduation gifts for boys under $40 on our graduation gift guide. This this YETI Tumbler and this Waterproof Speaker are both inexpensive, practical graduation gifts. I hope this post has been helpful for you! Pin it to reference when you are graduation gift shopping! College girl here!! Yes yes yes for the towel wraps! They are so convenient and will be used whether she has a community bath or not!